This is a slight departure from our normal STUFF posts but we just couldn’t resist sharing stuff about the stuff we usually post. Seth Rogan and Evan Goldberg use their Superbad brains to write this animated film about grocery store products waiting to get purchased. 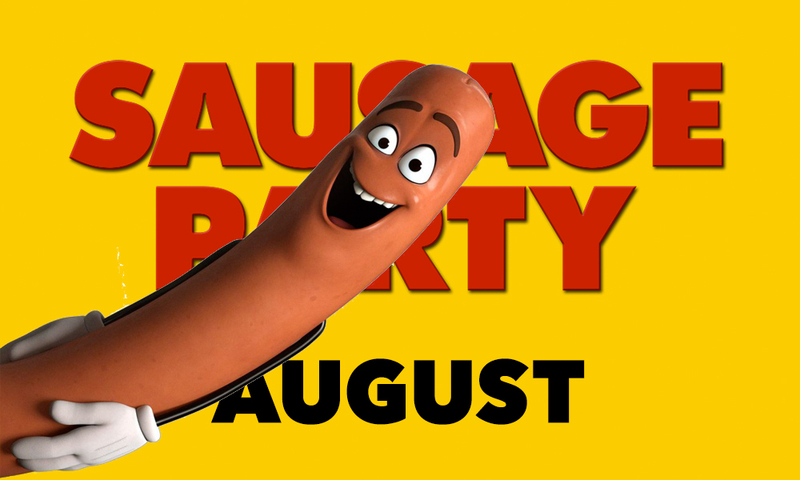 The Sausage Party twist comes when the food realizes the bliss of being bought is actually a gruesome death sentence through us cooking and eating them. Full of F-Bombs and sexual innuendos, as well as animated food gore, this sounds like a rainy Sunday afternoon movie theater move. Don’t forget plenty of CVS candy and the herb of your choice. What? We meant like rosemary. Forking Tasty is a product and events guide for the insatiable foodie. We’re constantly traveling the world and interwebs to find new, fun, funny, clever and cool things foodies freak over. Every week we share our favorites. We hope you enjoy, participate and share. © Janello Kinetic 2019. All Rights Reserved. You’re kinda a big dill. Don’t go bacon our hearts. Curry up and click hello. New stuff, stories and events delivered every month.